Obituary for Alvin "Butch" John Tasker, Sr. | Fletcher Funeral & Cremation Services, P.A. 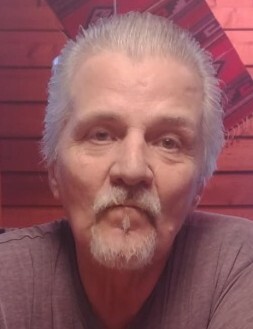 Alvin “Butch” John Tasker, Sr., 68, of Finksburg, died Friday, February 1, 2019, at Johns Hopkins Hospital. He was born on December 19, 1950 in Baltimore. He graduated from Westminster High School in 1969. He was a lifelong truck driver. He also drove Veterans to the VA Hospital. He enjoyed fishing, hunting, riding his Harley, and spending time with his grandchildren and great-grandchildren. He is survived by his wife of 51 years, Mary Lee Tasker, 5 children Sherry Franks, Alvin John Tasker, Jr. and wife Brigitte, Penny Wallace and husband Tom, Russell Tasker and wife Dana, William Tasker and wife Shelly. He is also survived by 16 grandchildren and 16 great-grandchildren. Funeral services will be held on Wednesday, February 6, 2019, at 11:00 a.m. at Fletcher Funeral & Cremation Services, 254 East Main St., Westminster. Interment will follow at St. Paul Lutheran Cemetery in Uniontown. The family will receive friends at the funeral home on Tuesday, February 5, 2019, from 2 to 4 and 6 to 8 p.m.